We all know cancer’s worst enemy is fresh food. The epidemic of the modern era is often blamed largely on processed foods, and most cancer experts agree the easiest way to reduce your risk of cancer is with a healthy diet of fresh fruits and vegetables. 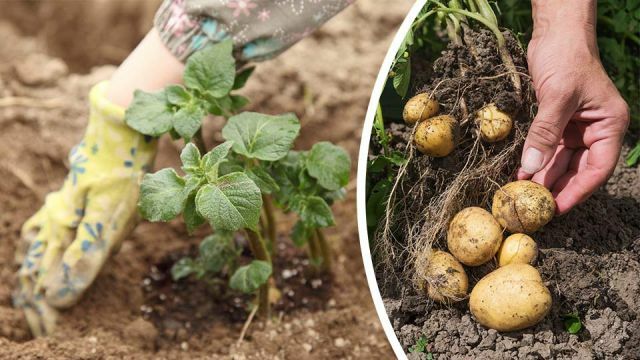 You can’t get much fresher than what you grow in your backyard, so here are six great crops to try growing for yourself. All six are believed to be great additions to any cancer-conscious diet. Garlic isn’t just good for keeping vampires away: it might also be able to ward off cancer. Lab tests have found some evidence to suggest chemicals in garlic may slow or even inhibit the growth of some cancers, most notably gastric cancer. The evidence is far from conclusive, though so far the signs are positive. Garlic can be grown from either cloves or seeds, and love cold weather. You’ll need well-drained, loose soil, along with somewhere to hang harvested garlic for drying. The American Institute for Cancer Research strongly recommends regular consumption of fruits and vegetables, particularly any that are high in nutrients and antioxidants. Leafy greens fit the bill perfectly: they’re high in vitamins and minerals, and low in fats, sodium and calories. Collard greens, therefore, make for an excellent choice for anyone looking for something that’s easy to grow and healthy. Collard greens are best planted anytime from late summer to early autumn, depending on the local climate. They like cool temperatures, and frost can even improve the flavor. They’re pretty hardy, too. As long as you have moist soil, your collard greens should flourish, though pests like aphids can be a problem. Collard greens are great, but if you’re looking for antioxidants then you can’t pass up spinach. Spinach is one of the richest known sources of antioxidants. Laboratory tests on rodents have found regular consumption of spinach can effectively reduce the negative health impacts of a high-fat, high-cholesterol diet. Even better, spinach is very easy to grow. It’s extremely hardy in cold climates and can tolerate pretty much whatever nature throws at it. It’s best planted in autumn or winter but can also sneak in during the early days of spring. If you’d rather try summer, you can use New Zealand or Malabar spinach, both of which thrive in warmer weather. Once harvested, spinach can be eaten raw or cooked. Check out the video below for a simple, step-by-step guide on how to get your spinach garden started. The National Cancer Institute advises anyone concerned about cancer to eat cruciferous vegetables. This is a group of veg in the Brassica genus that is high in nutrients like carotenoids, along with vitamins C, E and K. Collard greens are cruciferous, though perhaps the most famous member of this group of vegetables is broccoli. Broccoli isn’t too difficult to grow, so long as you have cool temperatures and well-drained soil. Broccoli likes a lot of sun, but can usually still survive in moderate shade. You’ll also want to regularly, lightly water the crop with a gentle sprinkle, as this keeps the roots shallow. When it comes to broccoli, shallow roots make for a more nutrient-rich harvest. We can’t mention broccoli without a nod to cauliflower. Cauliflower might look a lot like broccoli, but they’re noticeably harder to grow. For one, cauliflowers are fairly picky about temperature and soil. In particular, they need super fertile soil to really flourish, and you’ll probably need to resort to a fertilizer like Growmore to really get the most out of your cauliflower crop. However, if you can get past the steep learning curve, you’ll find cauliflower a delight to play around with. Most people have only ever seen white cauliflower, though in reality they come in a variety of colors. Along with cruciferous vegetables, the World Cancer Research Fund also advises people concerned about cancer to eat plenty of fresh fruit. The world of fruit is a wide one indeed, with many fruits being quite challenging to maintain. Strawberries, on the other hand, are a fantastic entry-level option. Along with being delicious, they’re also healthy and flexible. They can be grown on windowsills, in flower pouches, pots, small plots to sprawling fields — wherever you want, really. All they need is slightly acidic soil, plenty of water and a solid eight hours of sunlight a day. They have a somewhat low yield, but are likewise low maintenance. Plus, home-grown strawberries are so much better than anything you’ll buy at the store. Have you got any good cancer-preventing crops? Let us know in the comments below! Hey Buddy!, I found this information for you: "6 Seeds To Plant That Have Been Shown To Beat Cancer". Here is the website link: https://www.thealternativedaily.com/6-seeds-to-plant-to-beat-cancer/. Thank you.